We have won the Federation of Master Builders National Award for the best Commercial Project 2017! 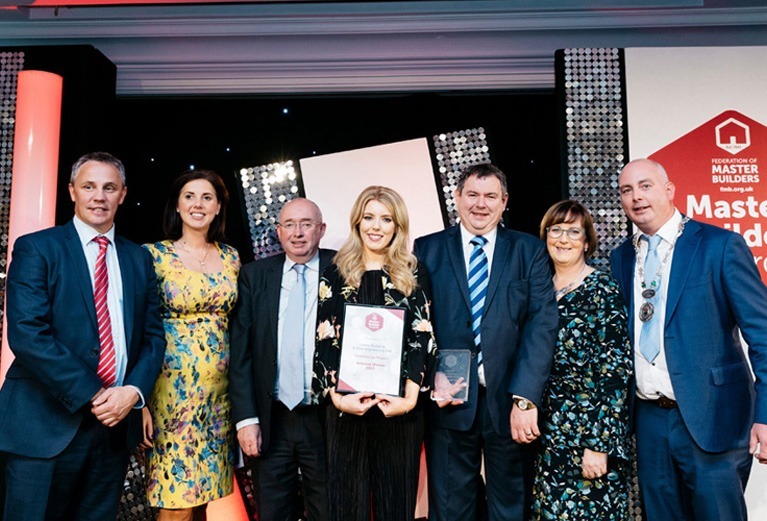 The ceremony was held at the Intercontinental Park Lane Hotel in London on Friday 15th September, and was a night we had been eagerly awaiting since winning the Northern Ireland (Regional) awards in April this year. Undertaking work on an operating ‘live’ hotel seemed like a daunting prospect but we relished the challenge and pulled off a redevelopment worthy of the FMB National title. The brief set by the Silverbirch Hotel was for a renovation which would make them the number one choice in Northern Ireland for weddings and business functions and the project was carried out in the very high risk environment of an operational hotel. Risks were identified, managed and controlled proactively by the Lowry Building & Civil Engineering team, allowing the hotel to continue to operate without affecting guests whilst still providing the highest quality, bespoke build for the client. We have completed the multi-million refurbishment to Belfast’s newest pub, The Doyen which was formally called the King’s Head. 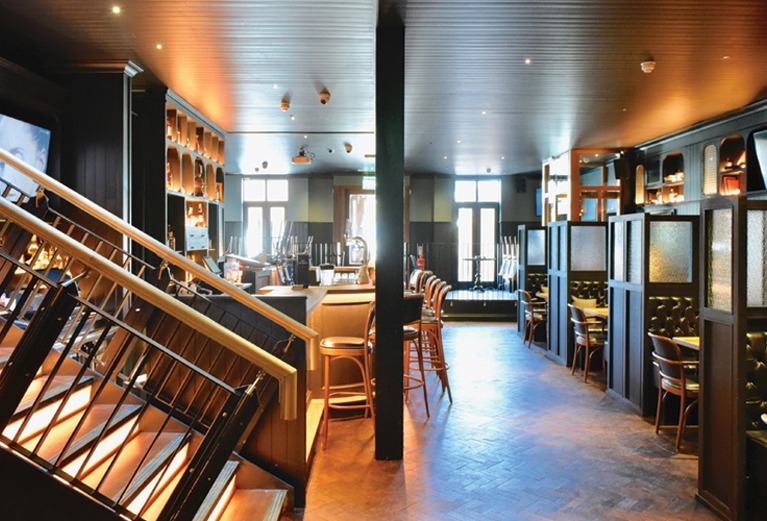 The Doyen features a traditional public bar serving a gastropub menu with a large outdoor seating area, a cafe bar and a family-friendly, Italian-themed restaurant upstairs called Morso with private rooms catering for parties up to 140. A secret snug bar for 30 guests is also provided and specialises in crafted coffee, brunch and prosecco, gin and cocktails. The £1.4m project required the complete strip out of the existing premises and major structural alterations to accommodate the new vision by hospitality group Wine Inns, who also own a string of Belfast pubs including The Empire, the Alibi club and The Chelsea. 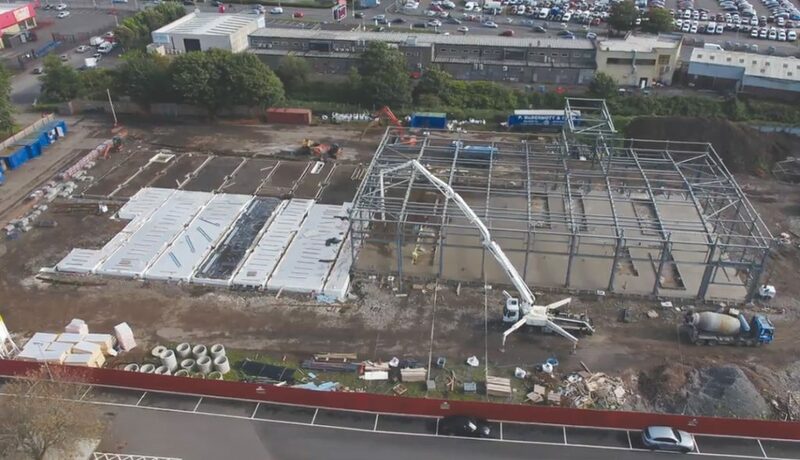 Works are progressing well on our latest project for the Northern Ireland Fire & Rescue Service (NIFRS) to build a new Transport Workshop and Logistic Support Centre at Boucher Crescent, Belfast. The new facility is located next to the existing NIFRS Training Facility and will service and supply all NIFRS activities throughout Northern Ireland. The new building is being constructed to a BREEAM Excellent standard and includes a 16-bay vehicle workshop, parking, stores, clean workshop areas, small equipment service areas, equipment test areas and office accommodation. The contract also requires the installation and commissioning of a variety of specialist equipment and all building services. Once completed, the stores will stock vital supplies such as ladders, uniforms and wide range of consumable items. 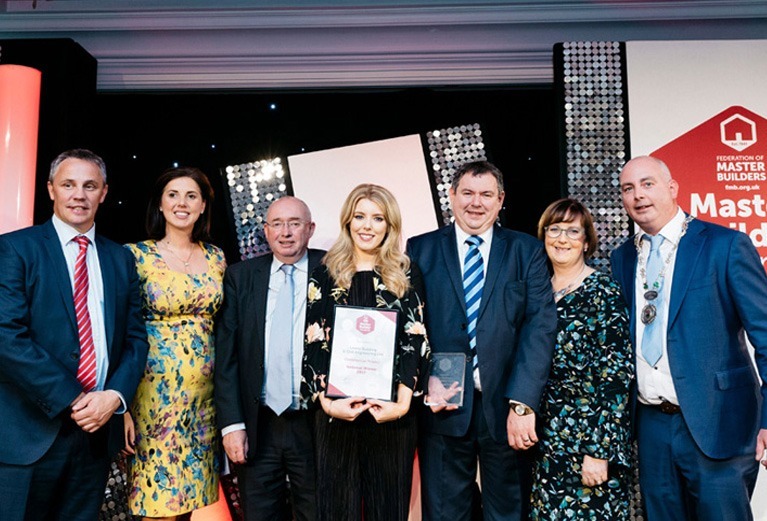 Lowry Building & Civil Engineering Ltd were awarded the prize for Best Commercial Project in Northern Ireland in 2017 at the Federation of Master Builder Awards held at the Europa Hotel in Belfast on Friday 31st March 2017. This top accolade for our redevelopment of the Silverbirch Hotel, Omagh was based on the judges recognising the exceptionally high quality standards of work and the meticulous planning and delivery in a ‘live’ environment with no disruption to guests or any health and safety issues.The full project team including the Client and Architect attended the ceremony and are eagerly awaiting the UK national finals which will be held at the Intercontinental Park Lane Hotel in London in September 2017. 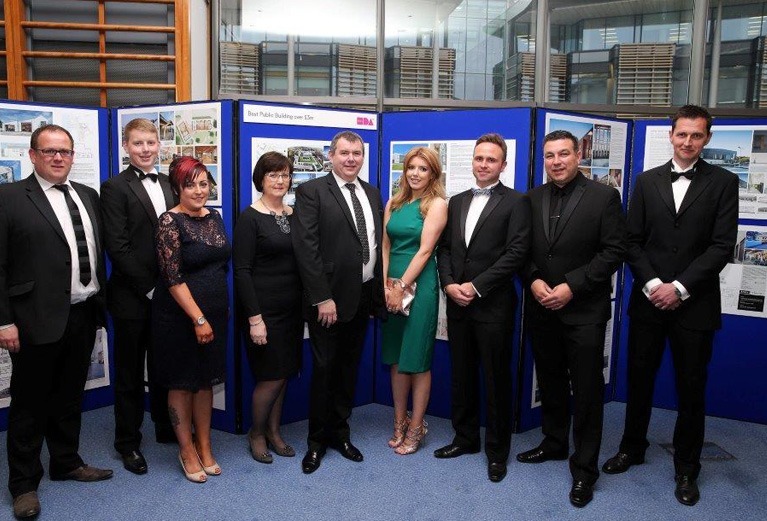 Lowry Building & Civil Engineering Ltd played a key role in supporting the Royal Society of Ulster Architects Annual Awards 2016 by acting as main sponsor for this prestigious Northern Irish event. The purpose of the Award Ceremony is not only to help raise the profile of architecture in the region but also to promote the skills of the local construction industry which play such a crucial role in realising innovative and well-designed buildings. We congratulate McGonigle McGrath Architects for their ‘House in Magera’ project which was winner of the ‘Best Single House or Extension over £100K’ and all other winners from the evening. 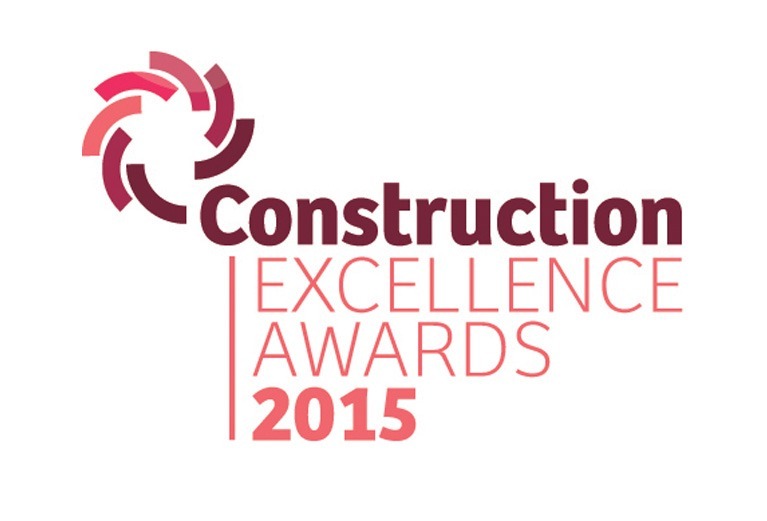 Lowry Building & Civil Engineering Ltd were awarded the prize for the best Social and Community Construction Project at the Construction Employers Federation (CEF) Construction Excellence Awards. 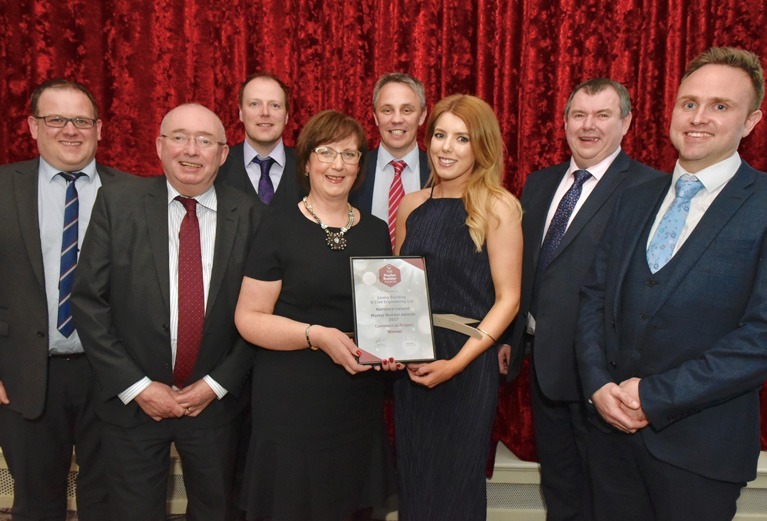 The ceremony was held at the Culloden Hotel & Spa in Holywood, Co Down on 8th October, 2015 and we were recognised for our outstanding works on the Omagh Community Fire Station & District Headquarters.The project represented the first of a new prototype design for the Northern Ireland Fire & Rescue Service and as such was a flagship project which required the high levels of quality and attention to detail. These elements were noted by the judges who also recognised the technically challenging design aspects and delivery under an intense, accelerated programme. The Old Bank, 7 John Street, Castlederg BT81 7AW.